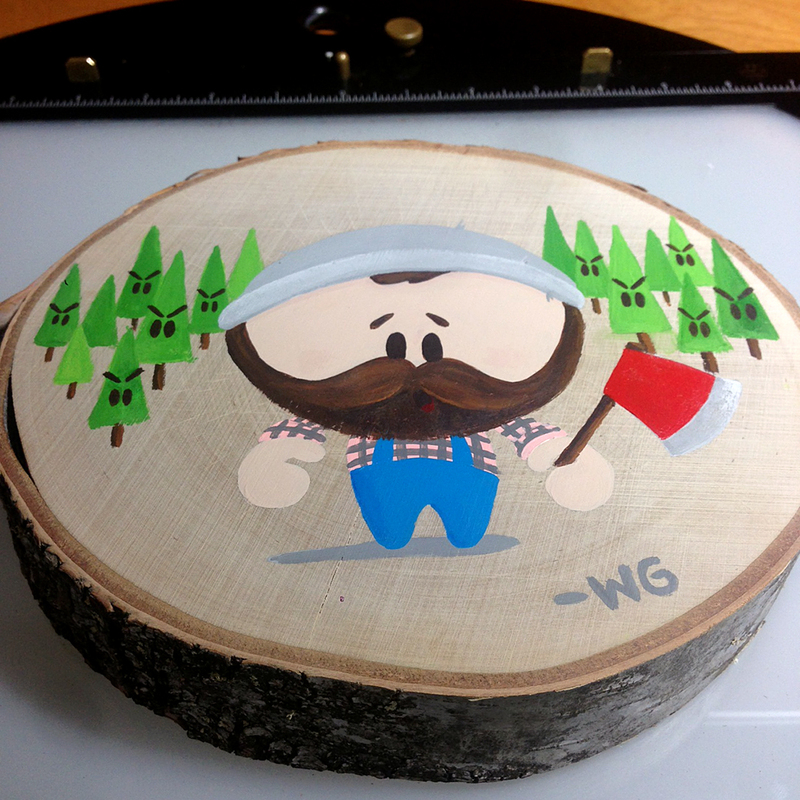 Just decided to paint something fun on this slice of log from a birch tree. 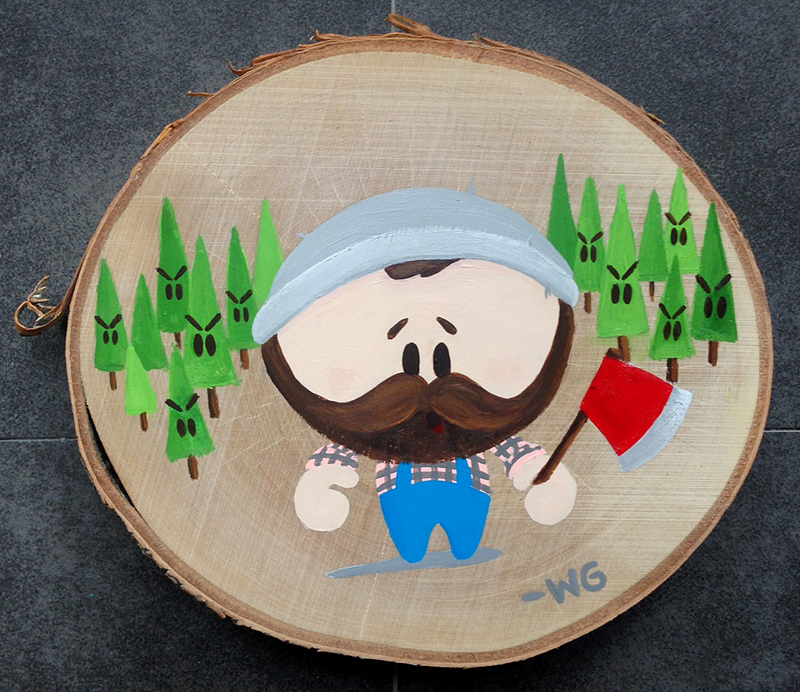 OhNo lumberjack seemed to be the best fit. Enjoy.